London, UK. 04.07.2012. Designing 007: fifty Years of Style exhibiton opens at The Barbican. 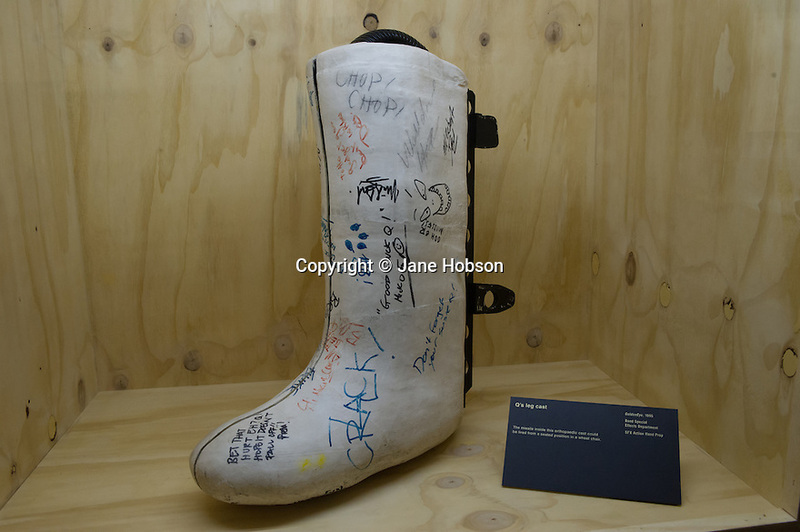 Picture shows: Q's leg cast, from Goldeneye, 1995. Photo credit: © Jane Hobson.